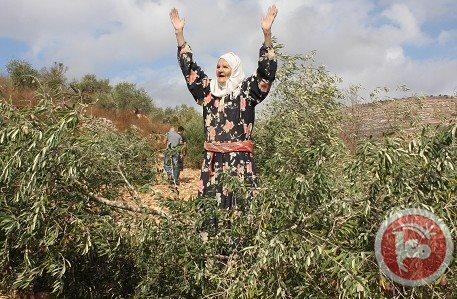 On the 28th of August, around 7:00 a.m., Israeli settlers from the illegal settlement of Itamar cut down and burnt more than 30 olive trees belonging to Awarta village before the harvest. 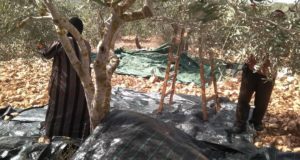 For the farmers living southeast of Nablus City, the olive trees are a basic, continual part of life. 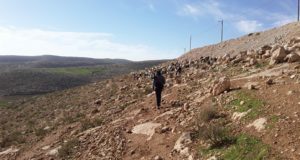 The large, illegal settlement of Itamar is built on the lands of Awarta, Yanoon, and Aqraba villages. The settlers there have a company of shepherds. They have stolen the northeast lands from Awarta, so now people cannot work in that area without permission, and then only for a few days during the harvest. Every year before harvest, settlers burn and cut the trees until the farmers cannot collect their fruit. In this way, they want to make people give in and forget their land. And they do not stop there. During the harvest, they attack the farmers, and release pigs onto Palestinian land to destroy it. 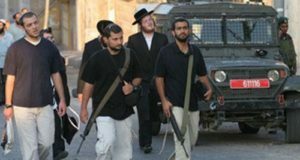 Then settlers attack in groups, throwing stones and burning the grass, and most of them pick out the remaining fruit before the DCO gives permission. These are the policies Israel uses against the land and the farmers.